Don´t know how the situation is in other countries, but here in Germany the System Scale Minecraft sets are not available trough any of the major retailer and [email protected] lists them as available after the 20. of Dec. . So guess what, ebay prices are almost 2-3x the retail price already since these seem to be on a lot of wish-lists for this x-mas. It looks like TLG has learned nothing from the Minecraft Micro-World debacle 2 (?) yrs ago! How´s it looking in other countries? a quick look on a couple of UK sites shows I could get some if I really wanted, but they are selling out - to be fair though so is a lot of Lego. There's definitely high demand for it for christmas this year. I wouldn't be surprised if parents who resorted to ebay for the micro world sets started buying early and possibly bought extras thinking they might make back the excess they paid for the micro worlds by doing exactly the same thing. Same here, all sold out, including the micro sets. I was in the Lego Store in Frankfurt at the weekend, and I'm sure they had some Minecraft sets in stock - not sure if they're the ones you're after but several people purchased Minecraft sets as I was filling my PaB cup! Not much different than any other hard to find item during the holidays. One has to wonder if companies do this on purpose to spike demand and their name in the press as a 'hard to find' toy during the holidays. I can't see it, there's better ways to get publicity than deliberately loosing sales at Christmas. LEGO just don't have anything like enough production capacity. In this case yes, likely bad planning. I mean LEGO got the wrong answer though when they asked themselves" Gee, would Minecraft LEGO ever do well? They did the first time, but the first time they had less data to go on, this time it seems to be about factory capacity seeing as a lot of lines are selling out. Recently I've seen shops locally that have had empty shelves for Chima, even the Speedorz at full price, all gone on the xmas rush. Full price speedorz sold out? That's just crazy! ^Yeah I was pretty surprised, it's possible they had price reduced on a sticker on the box but all SELs were full price and they had space for a good couple of dozen if the shelf was full. Could have also been bad stock controll I suppose, but it was Saturday, so you'd expect in the lead up to xmas they'd be on it for Saturday stocking. Thankfully my 8 year old minecraft obsessed boy thinks these sets look as rediculous as I do so sold out or not makes no difference to us. Actually, Lego I think did a good job trying to mitigate items being sold out. I have presumed from the start this is part of why they only did a limited fall release instead of trying to go with a full store release. By not having the boxes in the stores, and not having advertisement, they do lessen the number of people that see the sets, and have to have the sets for Christmas. I don't think there was any chance these sets would not sell out, but overall they took an approach to create the least amount of dissatisfied customers. Now, what I don't understand is why they did not do a similar soft release with the Frozen/Princess sets. The Arctic Icebreaker is sold out everywhere too. The whole theme has pretty much sold out in the UK. Except there is plenty of lego in Toys R Us. Isn't it a TRU exclusive in the US? I always thought that the Micro-World Set that came out 2yrs (?) ago was one of the main causes for TLG to start their "anti-reseller" campaign so i thought they would try to avoid a similar situation as much as possible,and now 2yrs later almost the same scenario and again it's minecraft causing it and fuel the after market! Pretty strange move if you ask me! I think that no amount of previous data could help TLG get their forecasting fir the current Minecraft sets correct. Going back 2 years we had 1 set released which was part of Cuusoo and uncharted ground. Last year we had 3 more micro builds and the availability over the last 6 months has been fantastic. They then release 6 more sets which are larger, more expensive and totally different to the originals. Combine 6 sets released at the same time, with the christmas rush, the fact that Lego is more popular than ever and with a load of new sets being released in January. It is no surprise that they have struggled with availability on these and also most of their entire range. 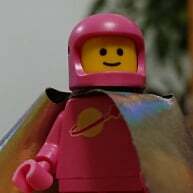 One thing that I've noticed that is quite interesting (to a sad git like me at least) is that there doesn't seem to be a huge amount of price cuts/deals on Lego here in the UK at the moment and stuff is still selling out. But I'm seeing a lot of reductions on the other construction toy brands and they don't selling as well. Of course I don't have the sales figures or anything so it's pure speculation but it seems like a lot of people have come round to the idea of Lego being more expensive for a reason. Yeah it's worth pointing out that the Minecraft The End micro set was on sale for like ever, and may still even be. Lego may have assumed from that that demand had died off rather than simply that people didn't bond with that particular set. Interestingly when I was at the Sheffield store the other day The End is the only set they had on the shelves still. It feels like they only create The End because of the ender dragon but it's an incredibly boring landscape after that. I suspect even a mushroom island with a bunch of mooshrooms would go down better and be more interesting than that. They may well have been better off just sticking the ender dragon in a set by itself with a token few ender men and little else for much less money. Popped into my local LEGO store this morning, and it was noticeable that although not bare, the shelves weren't heaving (except for SW stuff). Where as usually the upper shelves are crammed with stock today where 6 sets would fit end on, they just had 3 end on - across most of the shop. Yesterday should have been their delivery day too, it was odd. Still a decent amount of arctic sets mind including the icebreaker and the one part of the shelves that were completely full was Star Wars. Unrelated, on their built Slave 1, the trans windscreen was really dirty, covered with little splodges. Even though its in a case. Also, they had out a Kingdoms Joust in a display case. Weird. Picked up a Kingdoms Joust earlier this year in a Lego store long after we'd thought it was gone for good. Maybe they found another crate or two and are trying to shift it? Hahaha, I just came here to post that exact link in the 'Ridiculous eBay Auctions thread'! They're a Lego online excluisve in the USA until Jan, so presumably there will be a ton of stock around for the main US release. The lady in the Las Vegas Lego shop where I tried to bag them told me they were made online only at the last minute. I'd guess that with Lego a hot toy this Christmas, they had to make a few awkward supply decisions and Minecraft felt the crunch! Hope all the people buying aren't as disappointed with the mine as I was. Was okay to build etc but then I dared to try move it into a cabinet, just fell to bits. Gave up. Turned it to parts. Never has stuck a poorly designed unstable set in my life. Shame really as the smaller sets are all pretty decent. ^What set are you referring to? Glad to know I made the wise choice of not purchasing the mine. It looked to unstable to me. ^^ Sorry for the mis-read. When I read "I was disappointed with the mine", my brain read "I was disappointed with mine". Left it to late and missed out of the Minecraft sets. I really wanted the mine for my son but not willing to pay anywhere near the current ebay prices they are going for. Didn't think they would sell out so fast. I'm on a mission today to try and find The Farm (UK). My brother told my sister to get it for my nephew but it's OOS everywhere now and she's feeling a bit sheepish about not getting it sooner. So I'm gonna try and get it to help keep the peace! The farm is actually awesome, nice, solid and well designed! I was actually surprised the mine was quite so badly designed, I thought Lego had minimum standards on stability of sets or is that just a guideline that they flaunt every now and then? I like what they tried to do with the set but they just cheaped out by not putting in a baseplate or similar to stabilise it properly. It wouldn't have taken too many more parts to make it solid enough. ^^ No joy. Oh well I tried. They'll have to sort it out amongst themselves!